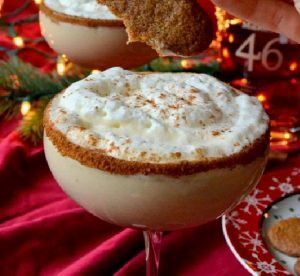 It wouldn’t be Christmas without the perfect holiday drink and this year we have the perfect cocktail: Gingerbread Eggnog. This drink is the perfect combination of booz and spice, two of the best matches in the kitchen! This recipe is must for the holidays, you just need a few ingredients and the rest is done in a matter of minutes. What makes this wintertime treat so fantastic is probably the fact that it is as much a dessert as it is a cocktail. We guarantee that, once you’ve tried it, it will be a bit of a tradition for Christmases to come. Below you’ll find the easiest version of this incredible recipe, in only 3 simple steps you’ll end up with a delish Gingerbread Eggnog. 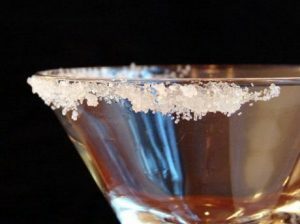 1 Wet the rim of your cocktail glass and dip it in cinnamon sugar. 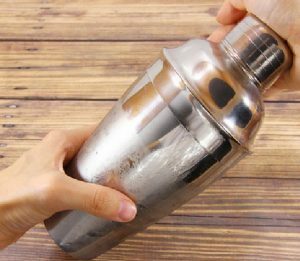 2 Fill in your cocktail shaker with ice, add eggnog, vodka, Kahlúa, molasses, and ginger and shake to combine. 3 Pour directly into rimmed glass. Top with whipped cream and drizzle with molasses before serving. Heaven!